Perhaps you've already noticed when you visit Camaloon: in addition to offering you a new way to navigate between our articles, we now have new printing techniques on some of our new notebook models. So you can add a more original and high quality touch when you personalise your notebooks. We can divide into our two big groups new collection of notebooks to personalise. On the one hand, we maintain existing models and incorporate spiral-bound notebooks with a ballpoint pen, multifunction notebooks that are very practical and useful as a commercial communication tool, vintage-style notebooks with soft or hard covers, or even covers with a denim effect. We offer you the 'classic' techniques of printing to personalise your notebooks: screen printing and full-colour digital printing. What are their characteristics? - Screen printing is a very common printing process, that has been used for more than one hundred years. What this technology does is reproduce your logo or design on a screen mesh (called screen printing), through which the ink passes to the surface to be printed. This process is repeated for each one of the colours that your design has, and in the case of Camaloon we do a maximum of eight different colours. It is a great printing technique for logos or simple designs, precise and good quality. - The full-colour digital printing is similar to how you would print with a paper printer. The machines take care of mixing four inks to result in a very wide range of colours. It is a perfect technique if your design is a photograph or a composition with many colours or shades of colours. The good news is that you can always order the units you need: depending on the colours of your design and the number of notebooks you want to personalise, we will choose the printing technique that best fits in terms of result and price. In this way, you can, for example, personalise exclusive notebooks: imagine organising a contest to design notebook covers for an event among your employees. With the winning design you will be able to personalise notebooks and distribute them among your collaborators. You can have not only a wide assortment of models, but also a wide range of colors and designs on the same model of notebooks. Personalise notebooks thinking of offering variety within an item used daily. And, as always, if what you really want to do is save on the purchase of your personalised items, what you want to do is place a wholesale order. You can have a wide range of personalised notebooks to distribute at any event or to your customers, with your logo and the name of your business. Pocket books and multipurpose notebooks take up little space and are easy to distribute, for example. Here comes another one of our most exclusive new releases. Because we know that on special occasions you want your personalised notebooks to be high quality, through materials and more durable printing, we offer models of notebooks that will help you to stand out from the rest: with metallic colors, imitation leather covers, even models of the iconic Moleskine® notebooks! You'll see on our website that you can personalise these notebooks with traditional printing techniques, as well as more sophisticated ones: laser printing and debossing. What do they consist of? 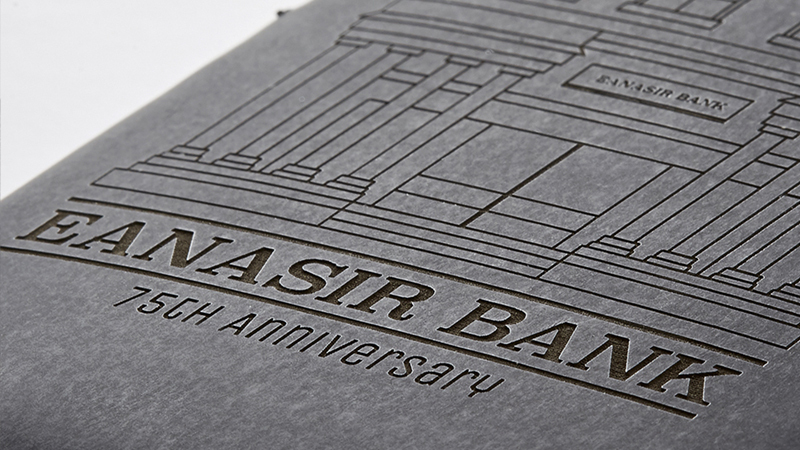 - With laser printing, we engrave your design directly on the cover of the notebooks, with maximum detail, a perfect finish and a precise, durable and resistant print. With this technique what we do is very precisely cut layers of the cover material of the notebooks to reproduce your design on them. 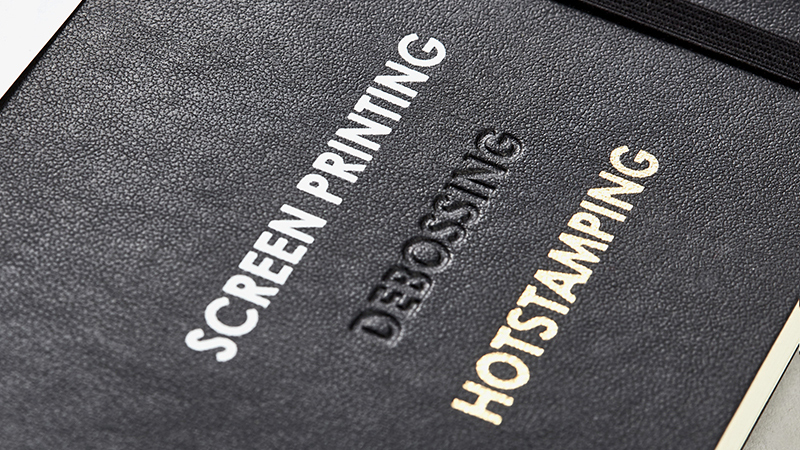 - The printing with debossing gives a a finish with class on the Moleskine® notebooks, since it transfers your design under heat and pressure on the covers, keeping the colour the same. And you can make your purchase from only 25 units! Whoever the recipient is of your notebooks, we have an option for you to personalise them. Multiply the possibilities to reach your customers, future customers, employees and collaborators with your brand in their day to day. Personalise your notebooks, it is very straightforward thanks to our online design tool. And, furthermore,you will be able to get information and services tailored to your needs at all times - take note of how to generate good ideas!